Showcase your logo on Canvas Metro Tote, a practical storage solution that clients will love. 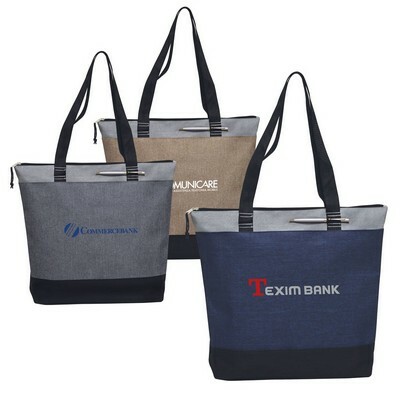 Help your customers come back to your brand time and again with the Canvas Metro Tote. Made of 600D poly canvas, this stylish tote is perfect for convention or personal use. The roomy main compartment has a zipper top closure and provides ample storage space and optimum security for your belongings. The dual carry handles are reinforced with two dual-bar stitching which doubles as a pen loop. Stamp your company’s logo on the bag and give it away at corporate and community events, trade fairs, carnivals, bag expos, and in malls to make a power packed statement about your brand.